The winter transfer window only closed three weeks ago and already Manchester United are being linked with the signing of a number of players over the summer. It’s no secret that Jose Mourinho wants to find a centre-back partner for Eric Bailly. Last summer we signed Victor Lindelof from Benfica but the Swede has failed to settle in at Old Trafford and currently finds himself behind Bailly, Chris Smalling, Phil Jones and Marcos Rojo in the pecking order. Neither Smalling, Jones or Rojo appear to have convinced the boss they will be first team regulars over the long-term under the Portuguese coach. 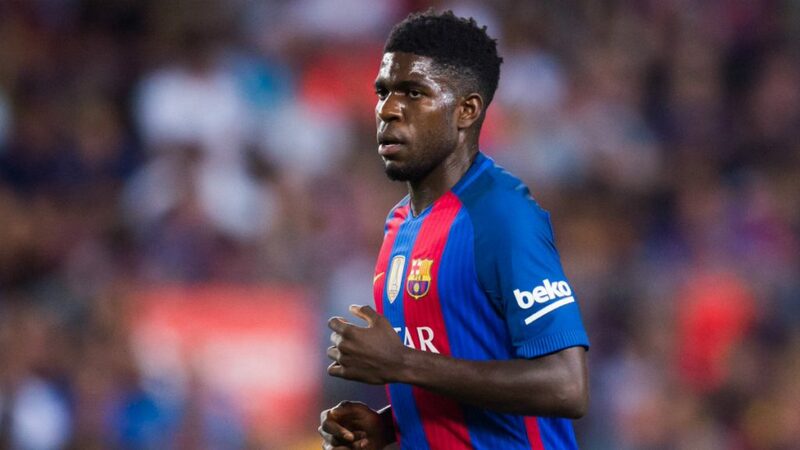 One centre-back we have been linked to is Barcelona’s Samuel Umtiti. The world class defender has only been at Camp Nou following Euro 2016 but is now demanding a bumper pay rise to stay, otherwise he’s ready to join us. The France international has been tipped to quit the La Liga leaders in recent weeks, and although he is under contract at the Catalan club until 2021, Spanish outlet Don Balon are today reporting the 24-year-old is threatening to quit Barcelona over his salary. Don Balon are reporting that Samuel Umtiti wants a £7 million-per-year deal to stay at Barcelona. Last month the Express reported that the star is earning £75,000-per-week; the equivalent of £3.9 million a season. Furthermore, the report also states that Manchester United have made an offer for the defender to try force Barcelona into making a decision on their star. Umtiti has a £53 million buy-out clause in his contract. How much truth there is to this report remains to be seem but there’s no doubt Samuel Umtiti would be an excellent acquisition for us should we be successful over the summer. Only last month did Barcelona land Colombian centre-back Yerry Mina as an alternate option to partner Gerard Pique in their defence.